Is that mistletoe? You scamp! Yes, more delicious eggnog for me, please! This is my second B2L2 Christmas. I can’t remember what I wrote about last year. I’d look it up, but I’m just too dang busy having Christmas fun. I try to avoid using obscene language in my work. Sometimes, however, one must drop a strategic f-bomb or something equally pungent in order to convey the full, uh, earthiness of one’s position. BoJo thinks he’s the center of the universe. It’s my fault. Clearly, I have failed to instill certain core values. In fact, Bob Johnson is a communist. He thinks everything belongs to everybody. If I make a sandwich, why, it’s everybody’s sandwich! If I don’t share my sandwich, Bob Johnson thinks I am being counter-revolutionary. 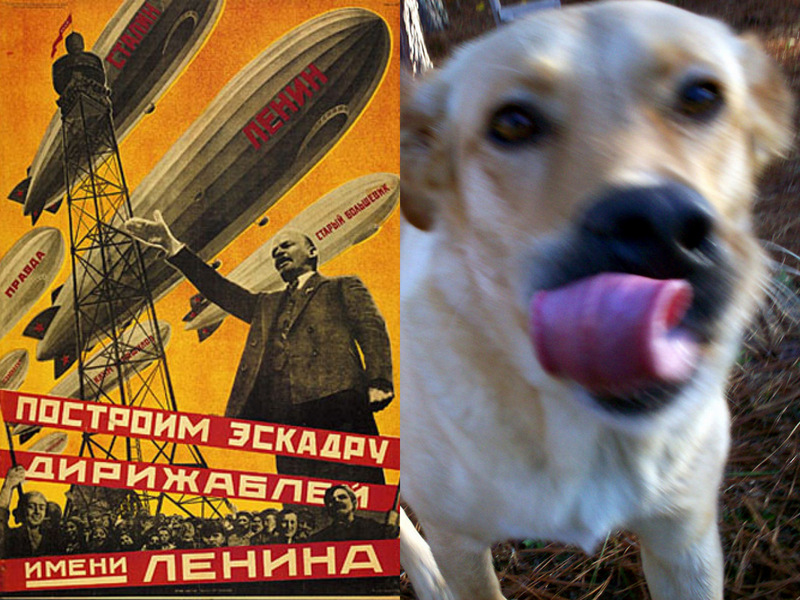 You try living with a communist dog. At Christmas. It’s enough to make anyone cuss. Yes, I’m changing up the “Christmas in a cave in Chile” concept. Christmas in Paraguay is punchier, don’t you think? Who can’t get behind a tradition as full of wonder and adventure as Christmas in Paraguay? Boring people, that’s who! Thousands of square miles of deadly, uncharted jungle. Internecine tribal warfare. Nazis on the lam. Blowguns. Piranhas. Stir in a little Santa and it’s a freakin’ wonderland. Round up your friends and spread the good news like it’s 1981! Bona fide punk rock classics only. Sorry, kids, but Green Day doesn’t make the cut. Treat your neighbors to a rousing rendition of Black Flag’s “TV Party.” Then run from the cops! Repeat until under arrest. Hit send and feel better immediately! Top Ten Disgusting Things Bob Johnson Ate This Year. Top Ten Songs About Toenails. Top Ten T.S. Eliot Fistfights. Top Ten Neurotic Vegetables. Top Ten Reasons To Take A Nap. Top Ten Moments At Food World. Top Ten Instances Of Massive Self-Delusion. You can really spice up the Christmas season with this one! Just substitute a few choice words in those tired old salutations and wait for the look of wonderment and joy you will certainly receive. You: Merry Shovel to you, and a Happy New Ditch! You: Happy molecules to you, too! Forging a new tradition is hard work. Should you attempt it, it is important to get up early, put on some real clothes, and eat a big breakfast. I’m taking next week off. I will be driving aimlessly around the Deep South, listening to Six Foot Length of Rope by the Eddy Band and my custom mix of Bob Dylan songs from 1966. John Hicks will return in 2012. Unless the Paraguayan Secret Service gets to him first. I am with you, brother Hicks. A stellar post, a righteous blast of massiveness at just the moment we all need it. Marry Shovel to you, you old Ditchhead. I’m buying my tickets to Paraguay now. Happy molecules! Christmas is a milestone. I seem to delving into the heart of Chistmastide. And Moon is fixing to conjunct Pluto now. The Saxon mystic, St. Gertrude, has given me some insight into this culture. I would go to old East Germany instead to get a bearing on communism and Christmas. Paraguay and Uruguay were the the first place the United States intelligence & security services went to track jihad-style terrorists after 9-11. Pears. Pears are definitely neurotic.